Storey received a lethal dose of pentobarbital, said DOC spokesman Mike O'Connell, who added that Storey was also offered Valium and midazolam as sedatives, but he refused both. Storey consumed a cheeseburger and french fries as his last meal. Shortly before his execution, he released the following written statement: "For this world full of anger, hate and revenge, I would like to pray for peace, forgiveness and love! I love everyone, even those who are doing this deed." O'Connell later added in a separate brief statement, "Witnesses said he appeared to quickly and quietly stop breathing. 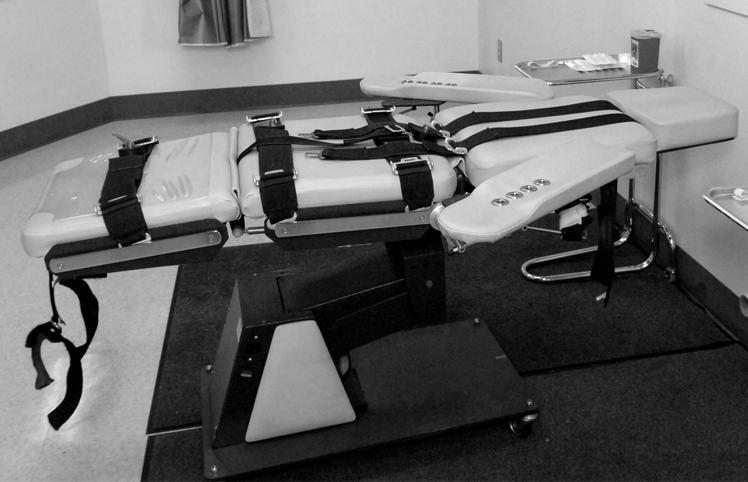 This is the same in all executions in Missouri." "Twenty-five years ago this month, Jill Frey was murdered in a brutal manner, in what should have been the safety of her own home. As a special education teacher, she had dedicated her life to the students she taught, and accomplished a great deal during a life that was cut tragically short. Tonight, I ask Missourians to remember Jill Frey, and keep her loved ones in their thoughts and prayers. " "My attempt to give a brief statement about this event and the past 25 years can never explain the overall effect this senseless and brutal murder has had on so many people. Jill was a tremendous person, daughter, sister, aunt, godmother, cousin, teacher and friend. To go back 25 years (almost to the day) when we received the tragic news, to what has taken us through three trials over the next 10 years, then waiting another 15 years for the courts to set an execution date has needless to say had an undeniable impact on Jill’s family and friends. Over this period of time several of our family members have passed away including both our mother and father. From the outset, this tragedy took its toll on our father. He passed away shortly after the third trial and unfortunately his quality of life went from bad to worse beginning that dreadful day of Feb. 5, 1990 when he lost his oldest daughter. Our mother passed away in 2011 — six months after we finally received the news that the U.S. Supreme Court denied his final appeal. We know Jill, Mom, Dad, and all of our family and friends are relieved that this is finally over and justice has been served. Unfortunately, we have had to endure and suffer through all the countless delays and re-trials when there was absolutely no doubt that two days after this brutal murder took place they had the right guy — a guy that we can truly call a terrorist. To say Jill was a special person is an understatement. Having Jill taken from us not only affected her family and friends' lives but all the special needs children that she taught and loved, all the children she could have taught and been enriched by her love. Her never-ending desire was to give of herself always. This world lost a very special and beautiful person." After a comprehensive review by my office of the request for clemency from convicted murderer Walter Storey, and after a final briefing from my counsel, I have denied this petition. Clemency is a process and a power of the governor I do not take lightly. Each request is considered and decided on its own merit and set of facts. Walter Storey broke into the apartment of his neighbor, Jill Frey, a teacher who had dedicated herself to the special needs students she taught. He brutally beat and stabbed Ms. Frey, before killing her by slashing her throat. Storey came back to the apartment the next day, in an attempt to cover up his crime. The evidence against Walter Storey was overwhelming, and the jury in this case found that these heinous crimes warranted the death penalty. My denial of clemency upholds the jury’s decision. I ask that the people of Missouri remember Jill Frey and keep her family in their thoughts and prayers. 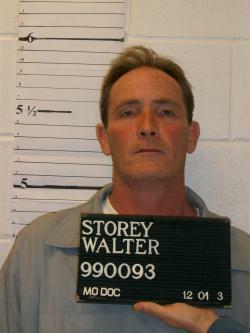 6:50 p.m. -- The U.S. Supreme Court denied a stay of execution for Walter Storey. But four justices -- Ruth Bader Ginsburg, Stephen Breyer, Sonia Sotomayor, and Elena Kagan -- said that they would have granted Storey's application for a stay. If Walter Storey is executed at 12:01 a.m., Wednesday morning as planned, he will hold two distinctions. He will be the first person executed in Missouri this year — and the last to have a 12:01 a.m. execution time. Storey is appealing his case to the U.S. Supreme Court. As Carey Gillam of Reuters reports, "Storey is one of several Missouri death row inmates who filed a lawsuit against the state in 2012 alleging its lethal injection protocol violates a constitutional prohibition on cruel and unusual punishment. That case is pending with the 8th U.S. Circuit Court of Appeals." Storey is being executed for the murder of Jill Frey, a 36-year-old special education teacher, in St. Charles in February 1990. He stabbed Frey and then continued apparently to beat her until she died. Storey's lawyer Jennifer Herndon is suing to stop the execution because of concerns about Missouri's drug protocol involved lethal injection. Because the name of the pharmacy producing the drugs is secret, as is any information about testing, Herndon argues that there is a chance that Storey would suffer a painful death, in violation of the constitutional prohibition against cruel and unusual punishment. Herndon is also critical of the state's use of the sedative known as midazolam. Missouri's next scheduled execution in March will be scheduled at 6 p.m. The Post-Dispatch reported that the Department of Corrections changed the time from 12:01 a.m. to 6 p.m. for several reasons: It is "more practical" for both the witnesses and the courts "reviewing the case." In addition, it puts Missouri "in line with the majority of other states" that still conduct executions. 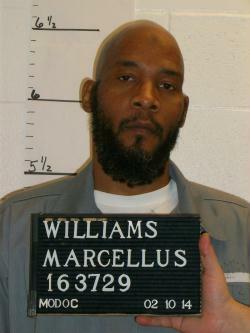 In January, the U.S. Supreme Court stayed the scheduled execution of Marcellus Williams in the death of former Post-Dispatch reporter Felicia Gayle.